More than four years since we sold our graphics business, I am happy to announce that I finally updated our company website. And in doing so, I have launched my latest WordPress multisite community. I’ll provide details about any hacks I make, and review multisite plugins I deploy in the future. For now I thought I would just share the content focus, for anyone not interested in the technical side of things. Since we hit the road after Jerry lost his leg, there really hasn’t been any reason exciting enough to update our Agreda Communications site. I basically put up some links to Tripawds and our LiveWorkDream blog and left it alone. After traveling the country for three years in search of the next big thing, however, we found it. Interested? Contact us for complete details! At first glance agreda.com doesn’t look like any sort of multi-user blogs community. That’s because I’ve made it private. We will be creating free lead generation sites for business partners and making certain value added content visible only to them using the Membership plugin from WPMU Dev. This will allow us to hide specific pages and other content we only want team members to see from the general public. Anyone who visits the site will still be able to read our biography, review the FAQs and contact us. I would like to give one shout out to Josh Parker for his WPMS Sidebar Login Widget. 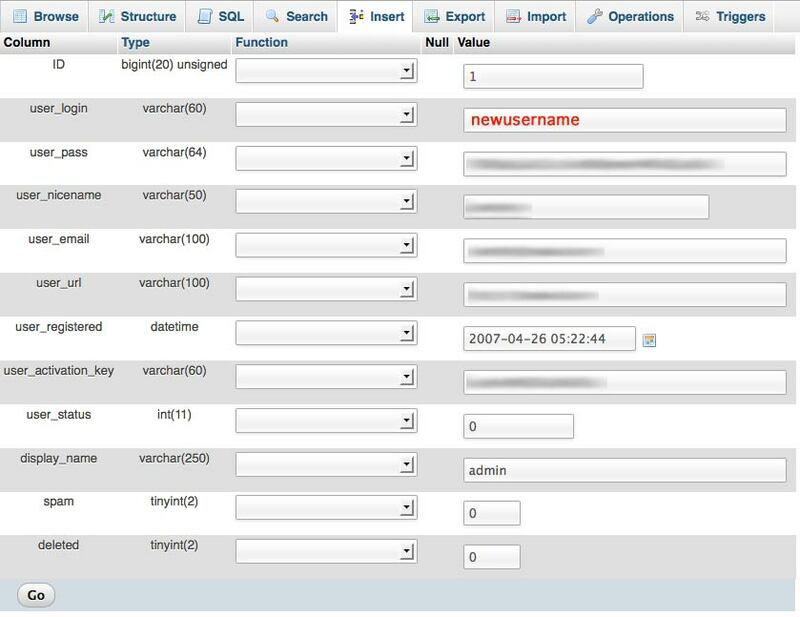 After spending hours trying to hard-code a login/profile panel into the sidebar like we have on Tripawds, this plugin did the trick in minutes. Now our partners can log into their dashboards from the main site to reveal members-only content. Thanks Josh! My recent ProBlogger guest post about building a successful online community received such positive feedback that I followed it up with more details about tactics we use to keep the Tripawds network feature rich and running smoothly. For those who asked – and for any WordPress multisite admins interested in making the most of their network – the following is an overview of the specific plugins we use to create the Tripawds Community. I’ve included brief descriptions about what each plugin does with links for download info and to see the plugin in use. Simple:Press Forums – This community simply would not be what it has become without the Tripawds Discussion Forums, powered by SimplePress, and we have nothing but good things to say about this easy to use yet robust plugin. While SPF can be network activated, we choose to host one main group of forums on the main News blog only. Anti-Splog – A must have for any multisite admin! Prior to installing this robust plugin, stopping spam blog registrations was a terribly frustrating time-consuming task. Now they are easily and automatically blocked, with various methods and many configuration options. Stop Spam! – We use Akismet and TypePad Anti-Spam to stop comment spam on all Tripawds blogs. Supporter Blogs get enhanced spam protection and a spam-free contact form with WP SpamFree. phpFreeChat – I implemented the Tripawds Live Chat using this code long before PHP Free Chat became available as a plugin for WordPress. Recently, I’ve been testing the sleek new chat plugin from WPMU Dev and may be migrating to that soon. Avatars – This plugin enables global avatars for all users and blogs, allowing members to upload an avatar and have it displayed wherever they comment, and in the recent posts widgets throughout the main site. Supporter – This premium account framework allows us to automatically remove ads from Supporter Blogs, increase their upload space and enable enhanced features with an easily implemented PayPal subscription model. Members Directory – This plugin allows us to easily create a searchable directory of all Tripawds members. 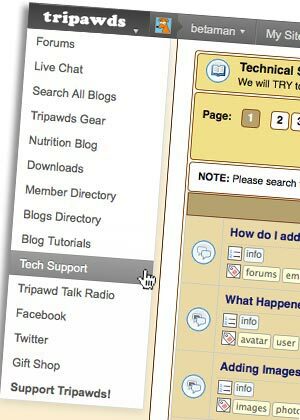 Blogs Directory – Like the above, this plugin creates a searchable directory of all Tripawds blogs. Global Site Search – With the WordPress admin bar only providing a search field for the blog being viewed, we use this plugin to create a page for searching all blogs across the Tripawds network. Personal Welcomes – We personally welcome all new members and send Supporters thank yous for upgrading their account with the email functionality and message templates this plugin provides. Global Header & Footer – I used some legacy code I found long ago and wrote about how to create the blog ring style header and footer that appears on all Tripawds blogs. Now I’m considering using the WPMS Global Content plugin. Recent Global Posts Widget – We show the most recent posts from all Tripawds blogs in this widget displayed throughout the News blog. We’re able to hard code this widget into our Chat and Forums page templates using the Recent Posts plugin. We use another widget plugin to show Recent Global Comments. Recent Global Posts Feed – This plugin generates an RSS feed for all blog posts across the network and comes complete with a widget for displaying the feed link. Blogs Widget – Using this plugin a widget showing recent (or random) blogs can be seen throughout the Tripawds News blog. New Blog Templates – I recently activated this plugin to easily create a template for all new Tripawds blogs so they use the specific theme, widgets, blogroll links and settings that I specify. Multisite Dashboard Feed – I wrote in detail about how we now show recent posts from all blogs in every user dashboard using the Multisite Dashboard Feed Widget. WordPress CMS Theme – The Tripawds News blog uses the WPMU Nelo Custom CMS Homepage Theme which supports a custom navigation menu so we can facilitate network navigation. 133+ Theme Pack – We offer Tripawds bloggers more than 140 themes to choose from with this pack of thoroughly tested templates including custom headers, threaded comments, and more features guaranteed to work by WPMU Dev. Supporter blogs have access to additional premium themes. Friends – With this plugin network-activated, Tripawds bloggers can “friend” each other and display widgets with all their friends on their blogs. Invites – This simple plugin lets members send friends, family and colleagues invitations to register for their blog directly from an admin tab. Simple Sitemaps – In addition to activating the All In One SEO plugin on Supporter blogs, we automatically generate Google-friendly sitemaps for all blogs with this plugin. Admin Ads– Instead of using this plugin to show ads, we created a list of “quick links” to helpful content in all user dashboards. It is also helpful for announcing special events and site maintenance. Admin Help Content – This plugin changes the WordPress help content that slides down when users click on the “Help” drop-down in their dashboard. We use it to direct members to our own Tech Support Forum and Help videos. Subscribe to Comments – We auto-activate this plugin on Tripawds Supporter blogs so readers can subscribe to receive notification of comments on individual posts. Viper’s Video QuickTags – This plugin also gets auto-activated for Tripawds Supporters to allow easy embedding of movies in their blogs from various video sharing sites. I wrote more details here. Support System – I use this comprehensive tech support ticket and FAQ system over at RVblogz.com, where we don’t have any discussion forums. WordPress Pop Up! – Thanks to this plugin, visitors to the Tripawds News blog (who come from an external domain and have never seen the ad) will be shown a discreet pop-up directing them to the best advice the site has to offer. It is massively configurable and easy to use. Help Videos – We provide numerous WordPress dashboard tutorial videos to help members make the most of their blogs. BlogTalkRadio – We use these free internet radio broadcasting tools to produce Tripawd Talk Radio. Phew! As if that’s not enough, we also make various importer plugins available to all Tripawds bloggers so they can easily migrate their existing posts from Blogger, LiveJournal, Moveable Type and other platforms to our free blogs network. NextGen Gallery is the powerful plugin we use to manage the Tripawds Photo Galleries. And cformsII is the comprehensive contact form plugin we use on our primary contact page and for our two-part 2010 Tripawds survey. Finally, we have used the WPAudio MP3 Player plugin to stream mp3 files in the Tripawds Downloads blog. 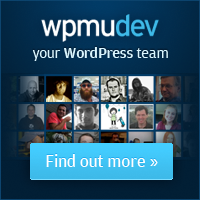 Readers may notice that many of the plugins I describe above come from the fine folks at WPMU Dev. Lots of them are free, but some cost will cost you. Like all good things, you get what you pay for. That’s why I recommend registering for a premium account to access all their plugins, every theme, and the awesome support they have to offer. I hope this has been helpful. If you manage a multisite network, what plugins do you use to help build your community?